Nocturnal Crown was formed in 1997. under name Gothic Inferno , in a small town Zadar, at the eastern coast of Adriatic sea, in Croatia. 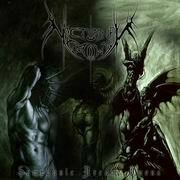 At the begining, the band played mostly death metal with melodic sequences, and down pitched vocals, but at the end of 1998. band began experimenting with black metal, and changed name into Nocturnal Crown . By that time the band allready had some of ten-fifteen songs of death-black melodic metal. The first gig was in 1999. at ( DHM- Citadela ) Infusion fest in Zadar. In lack of financial meanings, as no member was employed, the band could not affort studio record, so N.C. recorded a small garage demo in 1999. ,called In autumn shadow frost , containing five songs: 1. Into vanity and perdition , 2. Through astrophobical maze , 3. Screams from heaven (instr.) , 4. In autumn shadow frost , and 5. 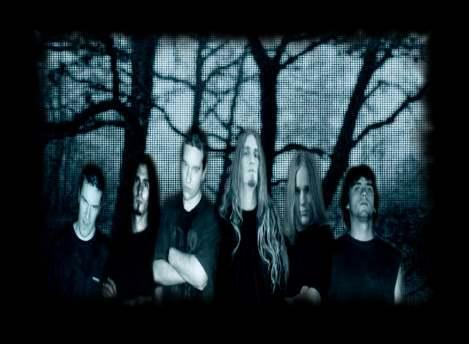 Eternal Arkana- ( Slavenia ), which was released on United Forces magazine compilation, and was a success. That year after recording a demo, drumer Goran had to leave for coledge, and N.C. had to find a new drumer, which turned out to be a huge problem, as N.C. changed four diferent drumers in three years. That was a devastating time for creative part of N.C. But after three years Goran returned and band recorded a demo album in 2003. Symphonic Arcane Omens containing eight songs: 1. Luna the mourner (intro) , 2. In samael's domain , 3. At the dawn of oblivion , 4. Demon bride , 5. Eternal Arkana ( Slavenia ) , 6. The ravishing day , 7. The time betrayal , 8. Behind the moonshade..... aprox. Time : 38 min. That year N.C. played some gigs in Zadar and south in Dalmatia and at the end of 2003. N.C. played last live performance infront of the ancient church of St. Donat in Zadar.